High quality - eco-friendly – good value! There is no need to decide between power and flexibility! 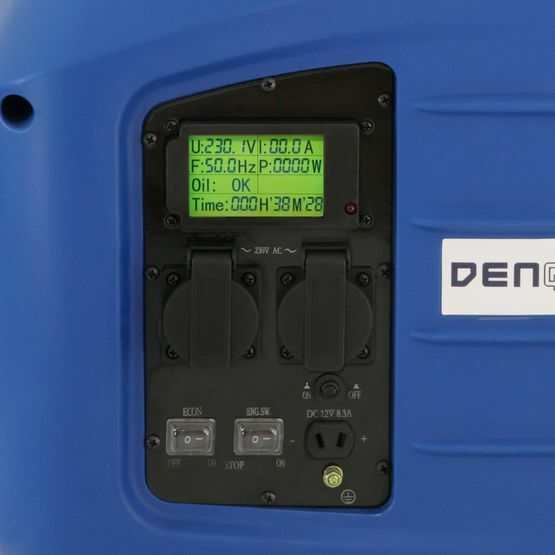 With the DENQBAR DQ-2800 we are offering an all-round inverter power generator, you do not want to miss. The perfect mix of independence and efficiency while minimizing noise. Trust the many years of DENQBAR expertise – this device will inspire you! Datasheet of the DENQBAR Inverter power generator DQ-2800 to download. The pictured ecolabel of the federal government of Germany "Blue Angel" (German Ecolabel) was awarded to DENQBAR Inverter power generators as proof of its special environmental friendliness. The "Blue Angel" is the first and oldest environmental protection label in the world and was launched in 1978 by the environment ministers of the federal and state governments. The inverter power generator DQ-2800 was not only convincing in low noise emission values, but also the low waste gas emissions contributed to the awarding of the coveted federal environmental label. The award "Werkzeug des Jahres 2013" is given to products that have been subjected to the critical and transparent tests of the jury of the magazine "Heimwerker Praxis" and proved their value. From this selection, the readers of the trade magazine then chose their "Werkzeug des Jahres" (tool of the year). Therefore, this is the sign of quality and customer satisfaction of the awarded products. 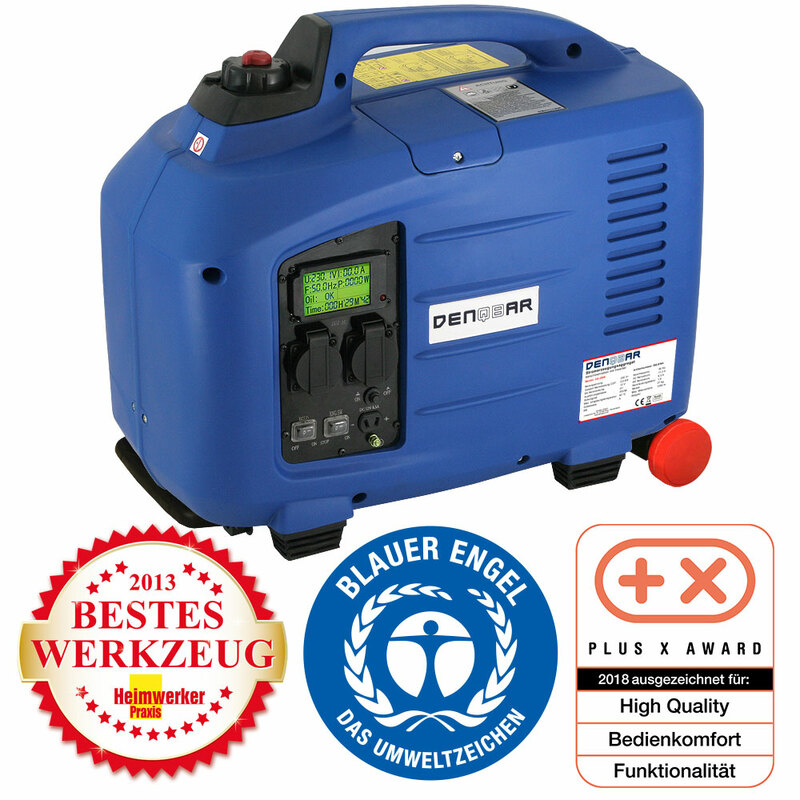 The independent trade and test magazine Heimwerker Praxis certifies a high-quality standard for the DENQBAR inverter power generator DQ-2800 and rated it with the overall grade of 1.5. Especially in price-performance-ratio, the mobile power generator has performed well / very well. "A very good generator that is easy to move and easy to use." is the conclusion of Heimwerker Praxis. Don't you dream of finally enjoying being liberate of wall sockets, but still using electrical devices? With DENQBAR inverter power generators your dream comes true! Whether you want to spruce up your garden, travel the great seas on a boat, discover the world in a camper or seek rest and relaxation while camping: From now on you have your own energy supply always and everywhere! Our inverter power generator with a maximum power of 2.8 kW provides enough power to run, for example, a microwave or air conditioning in the motor home. It scores highly equally at both his clients and test magazines for his quiet operation. In addition, the innovative load-responsive speed control reduces emissions and fuel consumption unlike conventional generators - our environment will be grateful. In addition, the gasoline-powered generator DQ-2800 triumphs with its compact dimensions and low curb weight, so you are always flexible and no longer have to lose the feeling of liberty. Moving the generator is especially easy due to the integrated wheels and the extendable handle. Its tank capacity of 7 litres guarantees a run-time of up to 14 hours - enough time to enjoy the benefits of a mobile power generator by DENQBAR.